The Pirate Bay has had their share of up and downs lately, a few days ago their ISP Brein closed them down but now they are up again. From a bunker! It looks like they are preparing for a long and tiresome war. Even if this is just a silly PR stunt its kind of funny. During the Cold War the NATO maintained various top-secret hardened facilities all over western Europe. 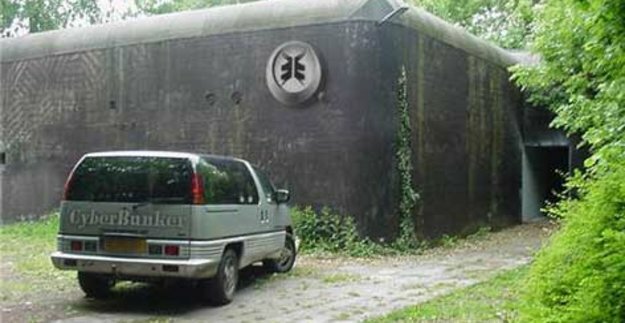 In 1955 a large command bunker was constructed just outside the small town of Kloetinge in the south of the Netherlands. 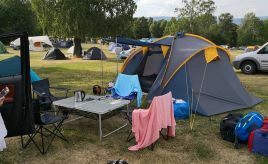 The facility was designed to house 72 people in case of a nuclear attack and was used as a NATO Radio Base Band Relay Station, as well as local (counter) espionage. It has been kept a secret for many years, for the reason that it is where NATO and military commanders would have administered the country in the event of a war. The facility underwent a complete rebuild in the 1970’s as part of the ASCON early-warning system, but the localized system soon was rendered obsolete. The building contains six dormitories capable of housing 72 people sleeping in hot beds and extends four stories below ground. In 1996 NATO decommissioned the facility, all furnishings and equipment were removed. Around 1996 the bunker complex was up for sale and it was bought by its current owners and became a datacenter in 1998. Many hardened biometric-protected doors stand between the outside world and the data floors. The bunker was constructed to function at energy saving capacity, totally cut off from the outside world for over 10 years. The four level facility is over 5 000 m2 in size. Entire complex is equipped with airlocks for an independent atmosphere. Fully redundant air handling/cooling systems. Electromagnetic Pulse (EMP) shielding to military standards. Up to 5 meters thick reinforced concrete subterranean construction. Designed to survive a 20-megaton nuclear blast at 5 kilometers. Backup 750 KW diesel generators. 10 000 liters freshwater reserve tank. 240 000 liters freshwater reserve stored at a remote backup bunker. All critical equipment shock-mounted on isolation pads. .-= Michael Aulia´s last blog ..Fancy a new wallpaper? =-. That place is amazing! I wonder what it looks like inside? Pirate Bay will be “safe” there, that’s for sure. .-= Theresa´s last blog ..October Colors =-.